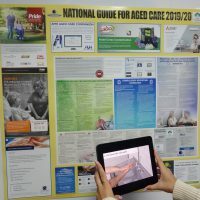 LASA CEO Sean Rooney last Friday called for the new PM to appoint a minister for ageing and aged care to his cabinet, saying the change in government leadership presented “a clear opportunity to acknowledge ageing and aged care as issues of national importance”, and that aged care could no longer be confined to an outer ministry. However after details of the new ministry were announced over the weekend Ken Wyatt continues as minister for aged care and indigenous health, while adding Minster for Senior Australians to his title. Mr Wyatt remains on the outer ministry under Health Minister Greg Hunt. 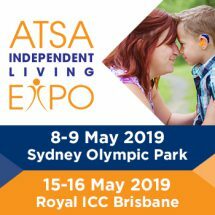 On Monday Mr Rooney said it was disappointing the aged care portfolio had not been elevated to cabinet, but said LASA was pleased Mr Morrison had acknowledged the needs and complexity of issues surrounding ageing by expanding Mr Wyatt’s role to encompass senior Australians. ACSA, meanwhile, welcomed the continuation of Mr Wyatt and Mr Hunt in their portfolios, saying it was happy Mr Wyatt had identified aged care as one of his priorities in his first speech. “In his first speech it was pleasing that PM Morrison said that aged care was one of his priorities. We look forward to continuing tackling these significant and fundamental challenges under the leadership of Prime Minister Scott Morrison and Ministers Hunt and Wyatt,” CEO Patricia Sparrow said in a statement. Both peak groups repeated earlier calls for $625 million per year to address the gap in residential aged care funding and $60 million a year for home care, as well as targeted funding for residential providers in regional and remote Australia. 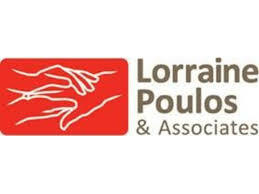 ACSA also called for a review “of the overall level of investment” to ensure the roll-out of additional home care packages keeps up with demand. “More work needs to be urgently done to address fundamental system settings and deliver the funding required to keep pace with the changing needs of older Australians,” he said. The reappointment of Mr Hunt, and Mr Wyatt’s expanded role as minster for seniors, was also welcomed by the consumer group COTA. “We look forward to working with the Prime Minister and Ministers Hunt and Wyatt in navigating a way through to the increased provision of appropriate aged care to older Australians in coming months” CEO Ian Yates said in a statement. Meanwhile, Paul Fletchter takes over from Dan Tehan as social services minister, assuming responsibility for the NDIS. “I am honoured to have been appointed to the Cabinet as Minister for Families & Social Services in the Morrison Government – a vitally important portfolio which serves millions of Australians,” Mr Fletcher said on Twitter. National Disability Services said it was keen to work constructively with Mr Fletcher and assistant minister Sarah Henderson. 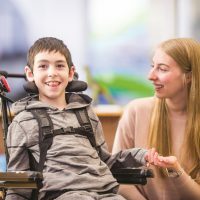 “By doing so, we’ll continue to seek resolution on key issues that could result in market failure for disability services, which concern: capped pricing limitations, workforce shortages and the much-needed improvement of operational systems to be working smoothly to support the delivery of NDIS services,” CEO Dr Ken Baker said in a statement to Community Care Review. The new commissioner of the NDIS Quality and Safeguards Commission Graeme Head told Community Care Review he would continue to have discussions with the new minister during the rollout of the safety and quality system. “I would expect as the head of a commonwealth agency that I’ll be talking to my minister in the same way that I would in any other role as an agency head. Interaction with the minister is an important part of the leadership of the organisation,” he said in telephone interview. MS Australia said it looked forward to working with Mr Morrison, who it said was a long standing and passionate supporter of the MS cause. Mr Morrison has previously spoken about his brother-in-law’s struggle with MS and this month launched the Health Impact of MF Australia 2017 report. “Scott Morrison’s door has always been open and we look forward to working with him on behalf of people living with MS in Australia”, MS Australia said in a statement. My Yates said COTA also looked forward to working with Mr Fletcher with regards to the age pension, the Pension Loans Scheme, Newstart and other key supports for current and future older Australians. It amazes me that these politicians are old enough to know that aged care should be a priority because many of them are older. Why is it an afterthought? We should demand better! Funding for home care from providers should be clear-cut to give hours of service to home care packages, especially Level Four packages. It should be explained and clarified how the providers should use the funding for the care for aged people suffering with different issues,from pain, Alzheimers, dementia. My question to Scot Morrison is this: is the government funding for the care of sick seniors or giving it to providers to get paid and keep other people working there? Why can’t the money be given directly to clients to find carers and pay them and they send the details of expenditure to the government with receipts of how the funding is spent. Seniors with only pension money should be getting more hours of care, food, shopping, cleaning, cooking to keep them at home rather than going to aged care. Aged care should only be used if no carers can care at home anymore and no family support.